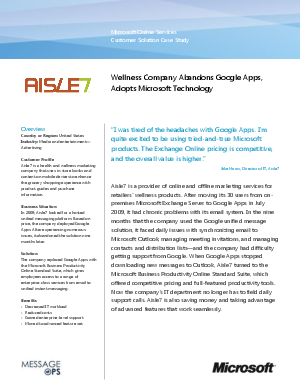 In 2009, Aisle7 looked for a hosted unified messaging platform. Based on price, the company deployed Google Apps. After experiencing numerous issues, it abandoned the solution nine months later.